Deciem Secures 3rd Vancouver Location for Summer Opening: Super-popular self-proclaimed "Abnormal Beauty Company" Deciem is opening stores worldwide to enhance brand awareness, and part of the strategy is to open multiple locations in each city it enters in order to be seen by a wider variety of potential consumers. The company has already opened two stores in the Vancouver area — one at 408 Howe Street in downtown Vancouver, as well as a second location at Metropolis at Metrotown in Burnaby. Signage is now up for a third store at 2985 Granville Street in the tony ‘South Granville’ shopping area located just north of super-wealthy Shaughnessy on Vancouver’s West Side. CBRE’s Mario Negris and Martin Moriarty negotiated the Granville Street deal. Deciem is gaining a cult following in cities like Toronto, where it launched its first store in the summer of 2016. Deciem now has seven stores in the Greater Toronto Area, including urban street front, in a mall (Square One), in the Financial District, and even a massive space in Toronto's Distillery District. Stan Vyriotes and David Wedermire of DWSV Remax Ultimate Realty Inc. represented Deciem in five of its Toronto lease deals, as well as for a handful of international deals. Deciem’s popularity continues to grow in leaps and bounds, propelled by affordably-priced products that are known for their high-quality ingredients. 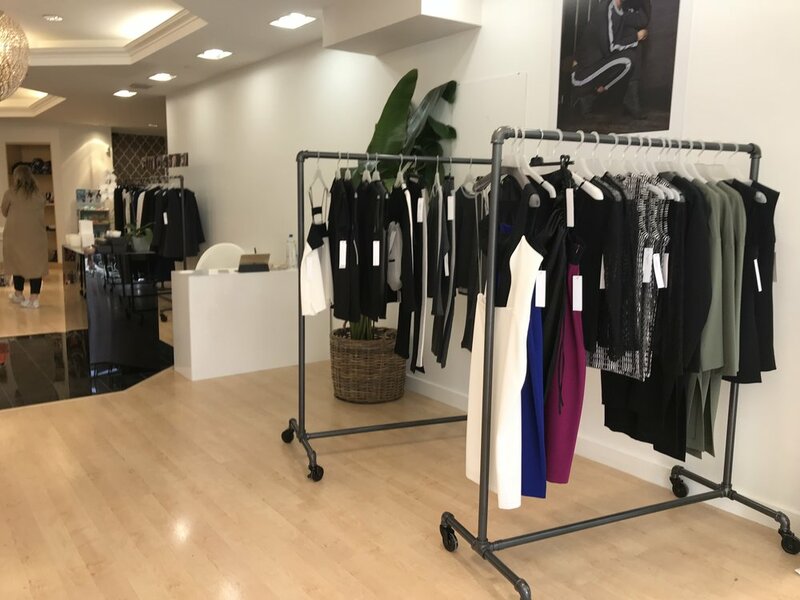 Downtown Oakville Sees 2 New Pop-Ups, courtesy of pop-up go: Temporary retail space connector popup-go, in partnership with Bentall Kennedy, announced the openings of two innovative new pop-up spaces in fashionable downtown Oakville. From April 1 to June 16, fashion designer Tara Rivas has opened at unit 103, 125 Lakeshore Road East. Ms. Rivas is a well-known Canadian fashion designer and for the Oakville pop-up, she partnered with mother/baby brand Poppys Collection, which is a Canadian online boutique with a unique twist — all pieces of their collections are designed or made by mothers, and quality is so exceptional that items are meant to be passed down. An organic food company will be joining them soon. Nearby, Pink Frog has unveiled a pop-up at unit 137, 131-139 Lakeshore Road East. 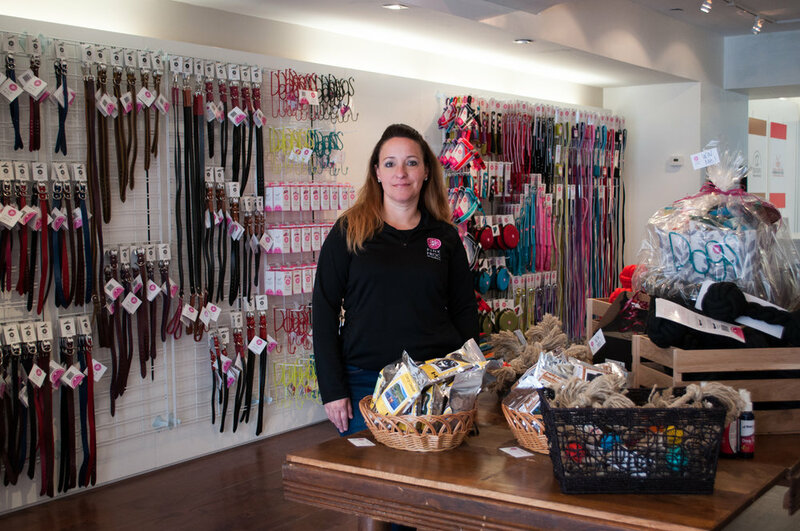 Founded by Renée Gratton-Veaudry, Pink Frog is known for its fun pet accessories and for the Oakville pop-up, the company partnered with Baie Run, which sells care products and a number of treat brands like True Raw Choice. Watch for the space to be activated with all kinds of pet-related activities in the pop-up that will operate from May 1 to May 31.
pop-up go is an online platform that helps pair retailers with available temporary retail spaces, which also features a curated pop-up match service that provides access to the ever-growing pipeline of pop-up seekers looking for space. Miniso Opens 1st Store in Downtown Toronto: Value-priced Chinese variety retailer Miniso is rapidly expanding its Canadian operation with new stores. This week, the company revealed its first location in downtown Toronto at CF Toronto Eaton Centre and as expected, the store is already very busy. Downtown Toronto is growing rapidly and it already contains more than 250,000 residents in a relatively small area. It’s also Canada’s biggest employment centre, featuring a mix of head offices, financial and other business services, universities and hospitals — no doubt more Miniso stores will open as downtown Toronto sees a population explosion with new condominium buildings sprouting up throughout. CF Toronto Eaton Centre is North America’s busiest mall, with more than 50-million annual visitors, according to Retail Council of Canada’s latest Shopping Centre Study. Miniso opened its first Canadian stores in the spring of 2017 in Vancouver, where it continues to expand rapidly. The company says that it plans to open as many as 500 locations in Canada in the coming years. Miniso’s product offerings are also extensive, including home goods, kitchenware, underwear, cosmetics, toys and even electronics. Products are branded by name and are considered to be of exceptional quality for the price. The company was co-founded in 2013 by Japanese designer Miyake Junya and Chinese entrepreneur Ye Guo Fu, and is headquartered in Guangzhou, China. MINSO’s goal is to open 6,000 stores globally by 2020, averaging 80 to 100 store openings per month. Party Expert Bringing the PARTYYYYY to Quebec City with Espace Bouvier: On June 16th, store owner and CEO Lynda Bouvier will throw open the doors and release the clowns at the launch of Party Expert’s Espace Bouvier in Quebec City. The colossal event will begin with a ribbon cutting ceremony at 9 am at 4825 Boulevard Pierre-Bertrand, followed by photo ops with pop-culture action hero HULK and his family of Super Hero Avengers, face-painting, and entertainment. The first 50 people to arrive will receive Party Expert Gift Cards between $10 and $100, the first 200 people to receive toys from Hasbro®, access to show-stopping cake fountains, balloons, and a 25% discount on everything except balloons. The Espace Bouvier is the 10th store province-wide owned by the Bouvier family and by far the most innovative. Bouvier has taken a different approach by designing it as a boutique-style shopping experience in an expansive 10,000-square-feet of retail space. The chain features an unbelievable selection of themed party supplies, personalized and super shape balloons, extraordinary costumes and accessories that are sold all year round, toys by Hasbro® and so much more, as well as its own private label French-language collection that debuts with this launch. The company is locally focused, leads the global trend in creating ‘personalized’ items, offers a wide range of French-language product which includes a private label exclusively designed by Bouvier, and offers the accessories to customize events to make celebrating special days even more memorable. Fast fun facts about Party Expert – they have 50,000 products, 3,308 costumes, 15,466 costume accessories, 30,000 latex balloons, 5,000 metallic Mylar balloons, 300 latex balloon models, 43 licensed party collections for children, more than 2,000 units of candy, 305 oz of slime, more than 1,200 Hawaiian leis, 20 colors of disposable tableware, and over 60 party themes! 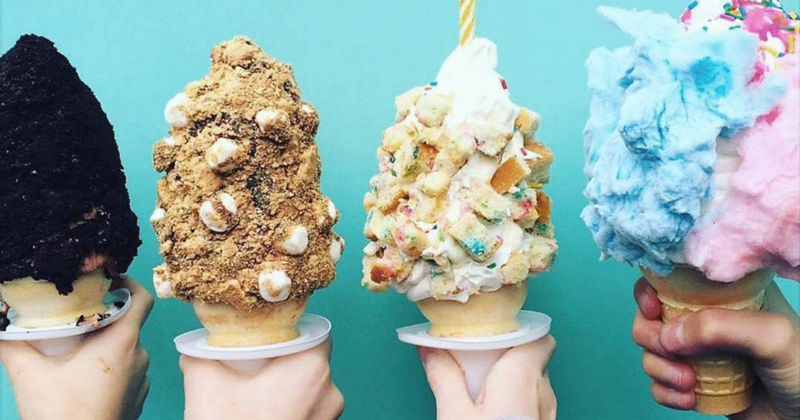 Sweet Jesus Bringing Finger-Licking Salvation to Vancouver: Known for their irreverent style, controversial marketing, and outrageous ice cream treats, Toronto-based Sweet Jesus will finally open up a shop in Metropolis at Metrotown in Burnaby this July. Sweet Jesus is known for their eye-catching over-the-top decked out cones like the Birthday Cake (vanilla soft serve, cream cheese icing, birthday cake bits, rainbow sprinkles) and the Hella Nutella (chocolate and vanilla twist soft serve, Nutella, wafer cookies, Corn Flakes, toasted pistachios). Also offered are extremely loaded shakes, Cake Batter Hot Chocolate, bottled Holy Water, and take-out pints. Sweet Jesus’ creamy treats are currently dispensed at 17 locations (permanent, pop-up, and food court) in Canada primarily in Ontario, with one 394-square-foot shop in the Southgate Centre food court in Edmonton. Parent company Monarch & Misfits itself started as a pop-up and now has four food-based brands – Sweet Jesus (Soft Serve, Espresso, and Dessert), La Carnita (Mexican Street Food), Home of the Brave (Southern Cooking with Northern Hospitality, and Good Fortune (Late night cocktail and snack bar). The chain is also confirmed to open several more locations including a second Edmonton location in the West Edmonton Mall and continues to target high profile street front units and kiosk sites (700 to 1,200-square-feet) in enclosed malls as well as some select markets including Yonge and Dundas in Toronto, Robson in downtown Vancouver, Whistler, and Banff. Plans are in the works for expansion in the United States, and oversea’s in Dubai, India and Bangladesh which will have them scooping up under the 'Sweet Salvation' banner. 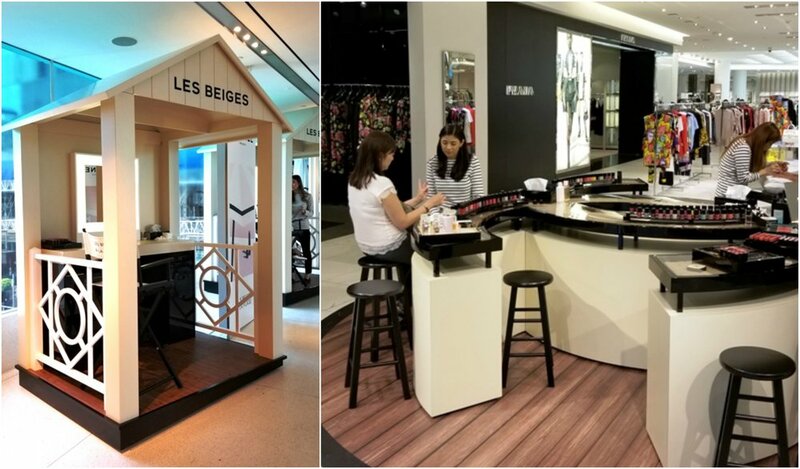 Chanel Recreates Coco’s Deauville Promenade with Beachy Pop-Up: Chanel is popping up with ‘Les Beiges à la Plage’ in downtown Vancouver within the skybridge connecting Holt Renfrew with CF Pacific Centre. Created to celebrate the release of Chanel’s new ‘Les Beiges’ collection, the temp beauty boutique has been designed to recreate the sentimentality of Deauville, a seaside resort on France’s northern coast where Coco Chanel, then known by her given-name of Gabrielle, opened her first boutique in 1913. The skybridge contains individual cabanas for personalized make-up consults and make-overs, sea-side canvas lounge chairs, and a tableau with umbrella’s, Chanel surfboard and white fencing which gives it the air of exclusivity and is a perfect background for faux-beach selfies. Until June 3rd visitors to the Chanel pop-up will enjoy complimentary services such as flash lip application, micro hand-massage with camellia micro-droplets from Hydra Beauty, and CHANCE fragrance consultation. There are two services that require appointments – Express Nail Art Application with Chanel technician and small groups of 2-4 persons can create their own personalized MakeUp Master Class to experience an immersive journey into Chanel’s summer palettes with friends. The Holt Renfrew skybridge is becoming a hotspot for pop-ups with Tiffany & Co’s seasonal market with giftwares and accessories and Prada’s 1950s style accessories cafe complete with human-sized robot keychains.